This is a BSL integrated event. On Sunday 4 February, we will be hosting our next family fun day for children and families with disabilities, with an environmental theme! Dance – Bryony loves dancing and getting people of all ages moving together through her inclusive, creative, energetic and playful sessions with uplifting music. Drama – Drop in for Drama with Mel, where you can learn new drama skills whilst having fun. Music – Drop in for as little as long as you would like. 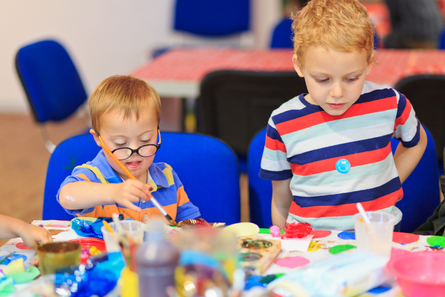 Arts and Crafts – Jo has been teaching visual arts workshops throughout Manchester. Join Jo in creating some colourful arts and crafts. Sensory Space – The screening room will become a sensory space throughout the day with comfortable seating, low lighting and a relaxing sensory screening.